TOKYO, November 4. /TASS/. American billionaire, founder of Microsoft Bill Gates believes that the tax system will change in the future, and a special tax on robots will be introduced to help people keep their jobs. He made this statement in an interview with Japan’s Nikkei newspaper. "[With] the idea that robots will help us make more goods and services with less people, we have defined the job is not the only thing that we were born to do. 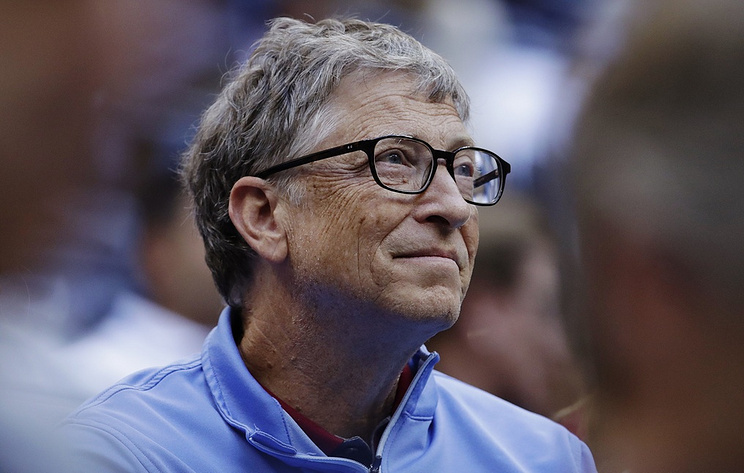 If we have to work less, then yes, it is a question of how we should spend that time," Gates said. "I am certainly not saying that we should artificially slow down the move toward automation, and robotics is just a form of what we have been doing to date," he added. Although automation will steal more and more human jobs, it does not mean that ultimately robots will kick humans out of offices, Gates said. "The basic idea in taxation is you can tax capital or you can tax labor, and a robot is a capital good. And right now, there are a lot of taxes on labor, like payroll taxes. Over time, because we as humans want to encourage jobs and job creation, instead of having these positive taxes on labor, we will actually probably have negative taxes, subsidization to bolster labor demand," he said. Gates believes that in the future there will be no ban on the purchase of robots and their use in production but we will see an increase in fees imposed on material capital and other assets including robots. "If you choose to buy a robot instead of employing humans, that is OK, you can do that, but the tax system will be pushing you to at least consider using humans more, unlike today's tax system, which actually pushes in the opposite direction," Microsoft founder said.